#Auspol winners and losers: Who trumped Donald this week? A rather loud invasion of a foreign, a continuation of behaviour and a psychic pig headline #Auspol’s nonsense this week. So, who won? Every week, we announce the winners and losers of the nation’s most brutal form of competitive entertainment. So who marches victoriously from the #AusPol arena this week? Donald Trump, for bringing the world together. Let’s be honest. The UK is a place of cynical division. A land where the only middle ground is Richard Curtis dropping a new movie, or a Royal dropping their undergarments. For a country that couldn’t decide whether they’d be leaving the EU or not, their sheer organised criticism is rather amazing. It takes a particular set of skills to irritate that many apathetic people. Fair play to Donald, though, he’s villained brilliantly. He cut in front of their God, and he sat in the chair of a long-dead man. 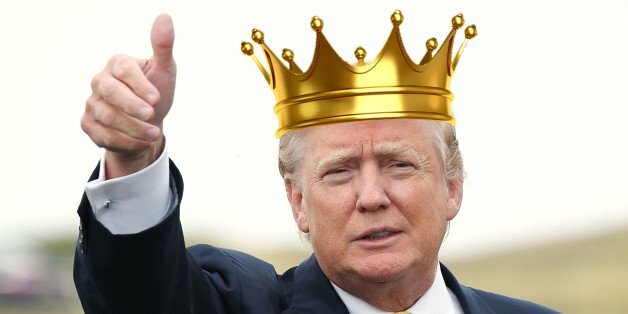 We should truly bend the knee at his brilliance, as he’s able to act as the moral Lourdes, washing everyone else clean of their sins. “(I’m) strongly in favour of using poisoned gas against uncivilised tribes” – Winston Churchill on the 1920 Iraq revolt against British interests. Barnaby Joyce – for closing out his narrative with a suitable flourish. Terrible endings are the bane of fiction. There’s nothing worse. Your emotional investment suddenly becomes worthless, and you castigate yourself for spending all that time with those people. For all of Barnaby’s crimes, he remained true to the very last page. His final act fitting of what came before. If we’re closing the book on Barnaby, at least we’re doing it with a satisified thud. Marcus the mystic pig, for being a scapegoat. Or pig. The 2018 World Cup revealed many things. It articulated the toxicity of Socceroos fans, and it showed how noticeably absent Vladimir Putin can be. It was, however, an event that dealt in reality, one that cracked down on the shady forces of chance and witchcraft. Every four years, the World Cup viewing public lash their nationalistic fervour to a wide range of soothsaying critters. This tournament gave us three: A cat, an octopus, and a pig. The last member of the squad, Marcus, had the gall to oink that football was coming home. Sadly, it remained abroad, and now there’s a petition circulating to cook Marcus for getting everyone’s hopes up. With that being said, we can make with the meme-mirth, but after Japan crashed out of the tournament, Rabio the Octopus was turned into takoyaki. Julie Bishop’s PR team, for not even trying. Geez guys, it’s not hard. When you release a photo-op, you traditionally use a photo of the person who enabled that opportunity. What you don’t do is just release a blank image. It’s unprofessional, it reflects poorly on the person they represent, and it serves no purpose. I mean, look at this. I don’t even see Julie Bishop in this photo. Do you? #AusPol winners and losers: Whose hubris is in surplus? #AusPol winners and losers: Who cared not for Abbott’s tone? Lyle Shelton, for putting the ‘pulp’ in pulpit. Whether we’re prepared to admit it or not, Lyle Shelton is a national treasure. He’s a resource, as his trite barbs motivate the media against him, and therefore, justify their positions. He positively impacts the engagement of his critics, and he serves as the inspiration for all those great echo chambers that dot the landscape. It all exists to spite Lyle. This week, the great Australian gold mine struck itself again. Thank him for his service, Australia. Rowan Dean, for whatever this is. The TBS Newsbot is an AI which has since gained sentience. His favourite colour is orange.